Midrange power. 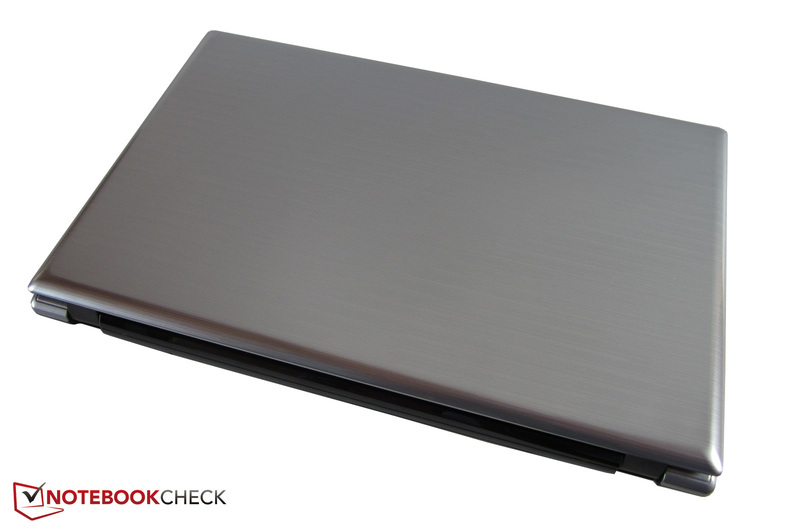 Deviltech proves that high-performance notebooks do not inevitably have to be high-priced with the Fire DTX. Thus, Nvidia's GeForce GT 650M is already installed in the basic configuration for EUR 769. The Ivy Bridge processor and the matte Full HD screen are additional purchase incentives. We will uncover the 15 incher's strengths and weaknesses. 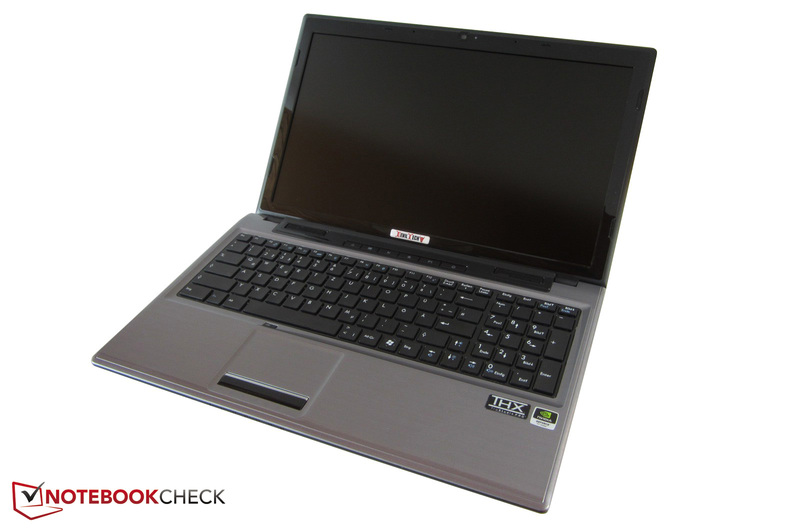 Deviltech is a German company that specializes in custom gaming notebooks. The biggest advantage it provides is the high customizability of the different laptops available from ODMs like MSI and Clevo. This option is not available from OEMs like HP and Asus in Europe. While the Fire DTX's screen and graphics card are specified, the other components can be customized. To keep the price as attractive as possible, the basic version does not include an operating system. However, Windows 7 Home Premium, Professional and Ultimate are available in 32 or 64 bit versions for a surcharge. The Home Premium version (64bit) will satisfy most users. 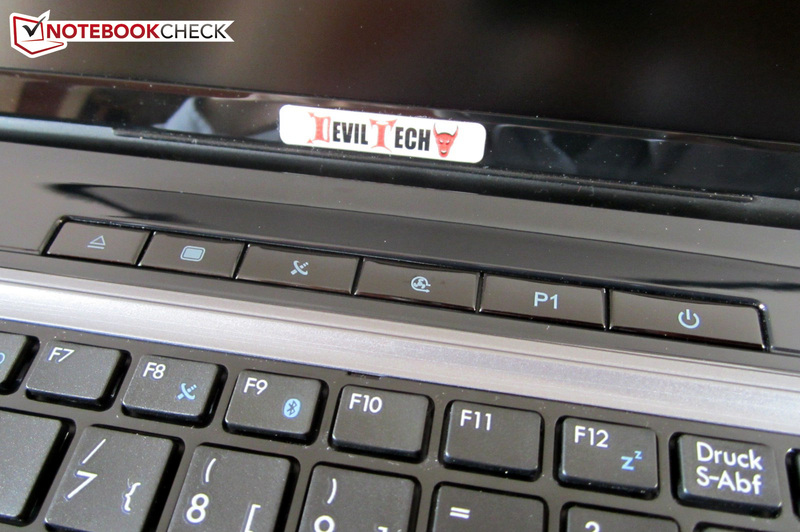 It is great that Deviltech considers its international customers. The operating system and keyboard are available in several languages and layouts respectively. Selecting the processor will be more difficult. In addition to a few dual-core models (Core i5-3210M up to i5-3520M), the manufacturer offers various quad-core models (Core i7-3610QM up to i7-3920XM). Considering the price and graphics performance, we would recommend the Core i5-3320M or the Core i7-3610QM, the latter being more future proof. Both working memory slots can be equipped with 4GB to a maximum of 16GB DDR3 RAM. 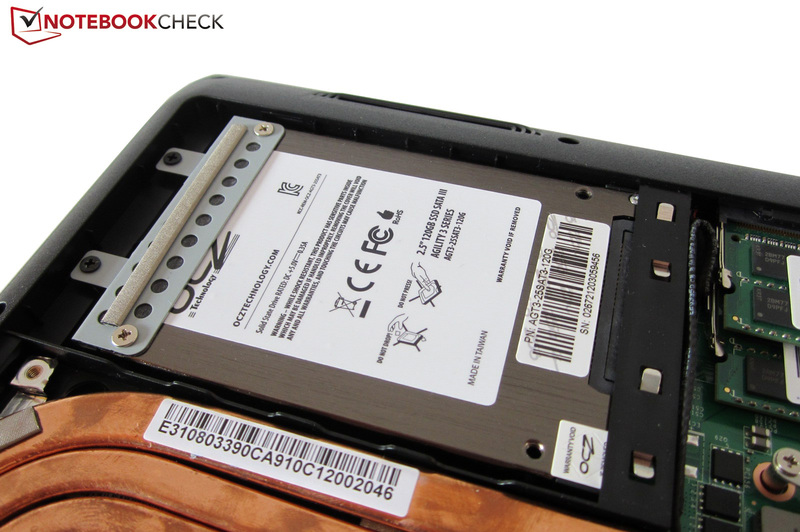 An HDD, SSH (Hybrid Drive) or an SSD with varying capacities can be installed. 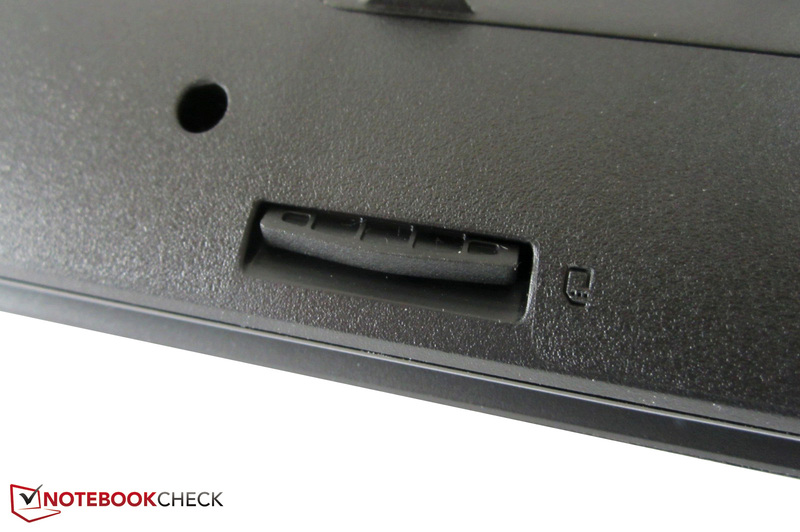 The optical drive options include a DVD burner, Blu-Ray player and Blu-Ray burner. The 15 incher starts at EUR 769 (~$970). A well-equipped version (featuring a quad-core, 8 GB of RAM, a 750 GB HDD & WIN 7 HP) is available for around EUR 1000 thanks to the fair pricing policy. The case's quality is one of the Fire DTX's weakest points. The 15 incher not only looks quite cheap, but is also extremely susceptible to attracting fingerprints due to the high-gloss plastic. The display's black frame is one of the areas susceptible to fingerprints. 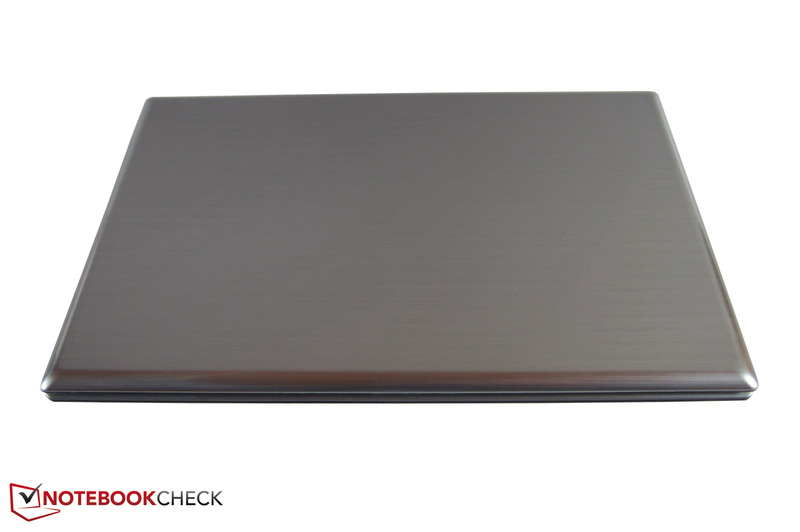 The lid, wrist rest and keyboard areas are silver-gray and do lose their sheen pretty quickly. Our test device's workmanship was also unsatisfactory. A few material transitions (particularly the display) were relatively uneven. 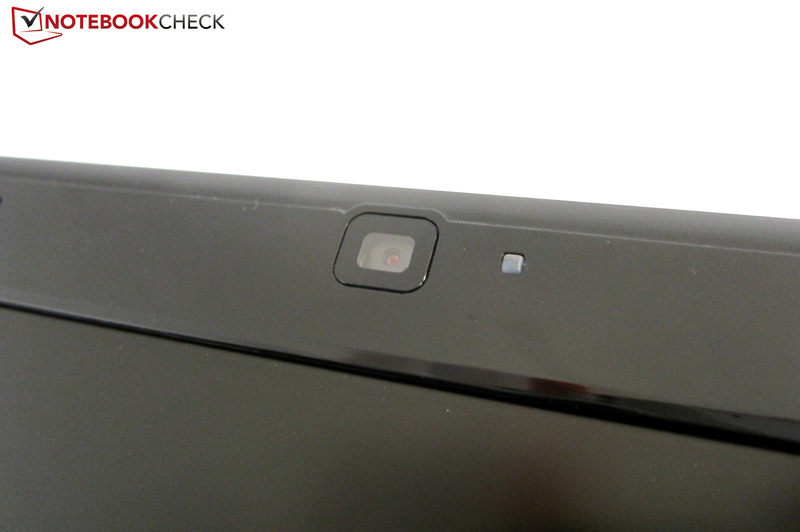 We had the feeling that we were dealing with a low-priced EUR 400 (~$500) device. Its 17 inch brother, also based on an MSI barebone (MS-1756 rather than MS-16GA), does not score much better in the build quality stakes. The notebook also had issues with keyboard clatter. Then again, the 15 incher makes a rather good impression in terms of looks. On one hand, the surface's light and dark coloring present a nice contrast. On the other, a fine line pattern can be seen when looking closer. Design, dimensions (383mm x 250mm x 38mm) and weight (~2.6 kg or 5.73 lb) are nothing extraordinary. We would say that the case's stability is inconspicuous. 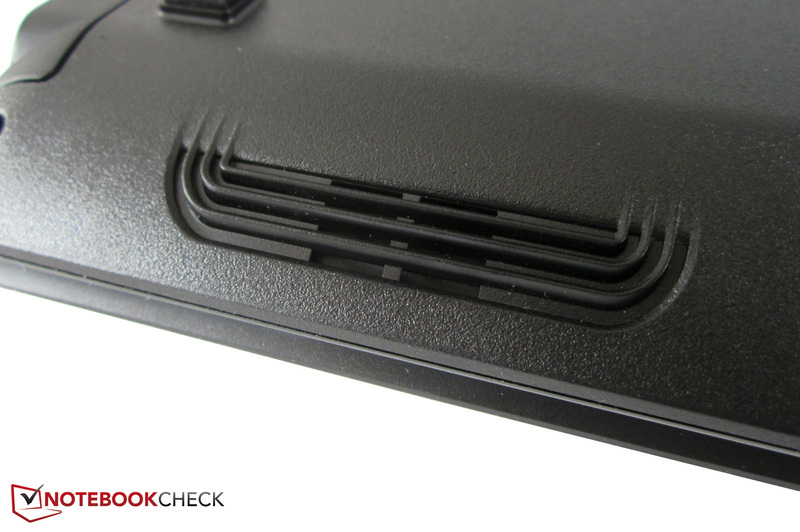 Although the lid can be twisted easily, like in most devices, the base unit proves to be quite pressure resistant. The fan grill, the battery as well as the drive area could have some added stiffness. 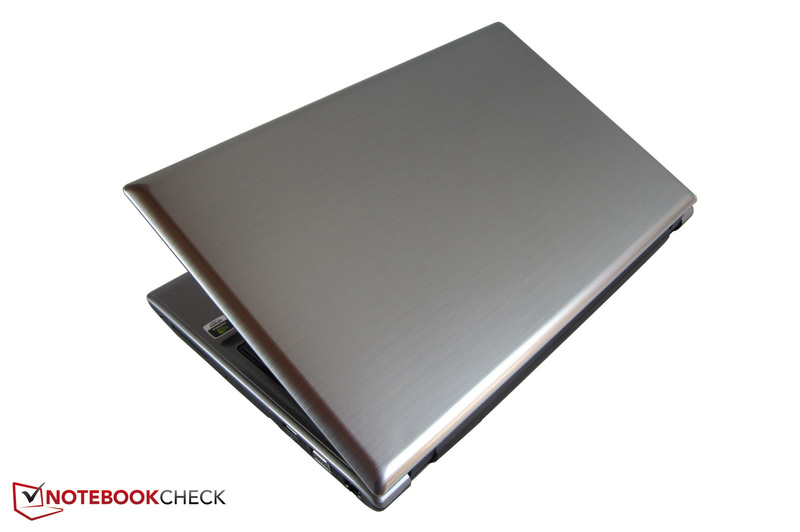 The two hinges are pulled so tight that both hands are needed for opening the laptop. Despite the listed flaws, only few buyers will deem the overall quality to be unsatisfactory. Clevo's W150ER barebone that also features the GeForce GT 650M (see Schenker XMG A502), is a higher quality alternative. The interfaces are run of the mill. 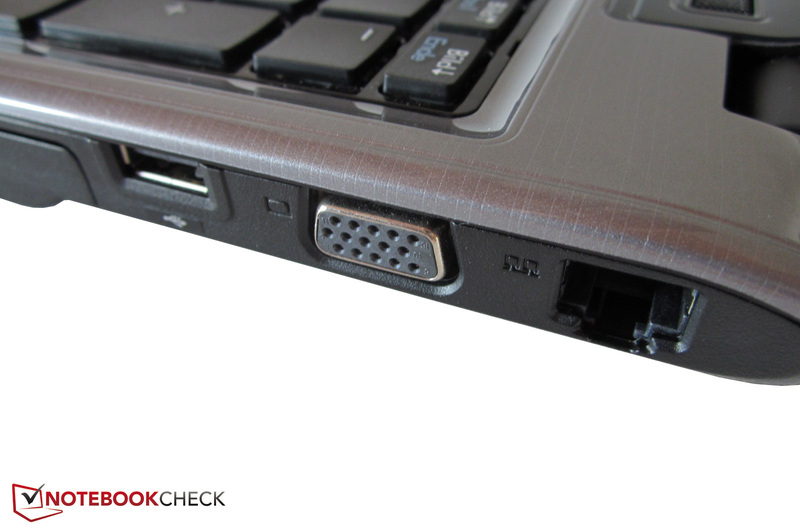 Two video outs (VGA + HDMI) and two audio jacks (headphone + microphone) are standard in a notebook of this class as are an RJ45 Gigabit LAN port and Kensington lock. 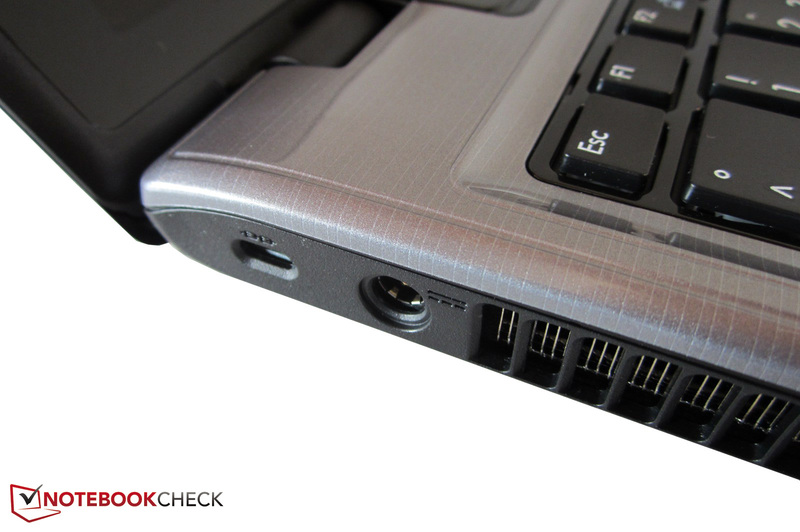 Two of the four USB ports support USB 3.0 specifications. A 7-in-1 card reader completes the list. You will be unhappy about both the fan's waste heat and the unfavorable interface distribution when you want to use an external mouse on the left. Since the ports are located far in front, cable routing can get a bit messy. 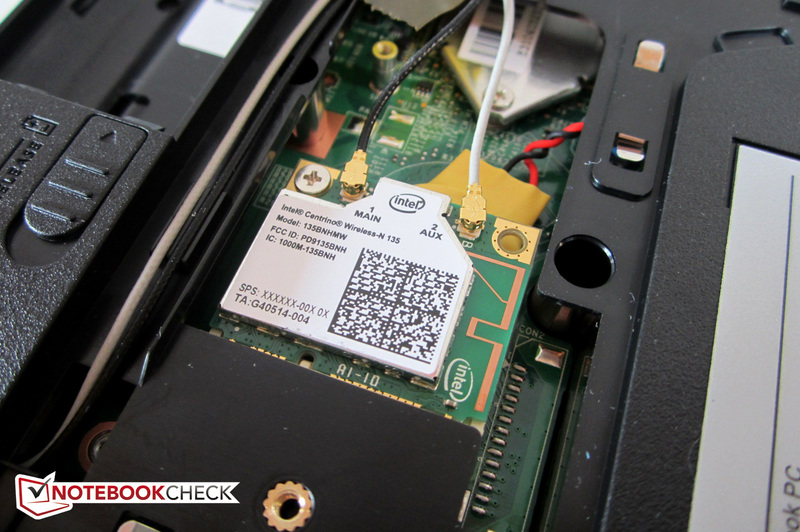 The "Deviltech Wireless Card" in our test device is an Intel wifi module. As expected from a modern chip, the Centrino Wireless N 135 module supports Bluetooth and wifi. Bigfoot's Killer Wireless N can be installed for an extra EUR 30 (~$38). We like the easy maintenance afforded by a single panel. In addition to the hard disk, wifi module and RAM, the fan, processor and the (non-replaceable) graphics card are accessible. In order to reach the hardware, only four screws had to be removed. Even a layman can replace the hard drive and RAM. 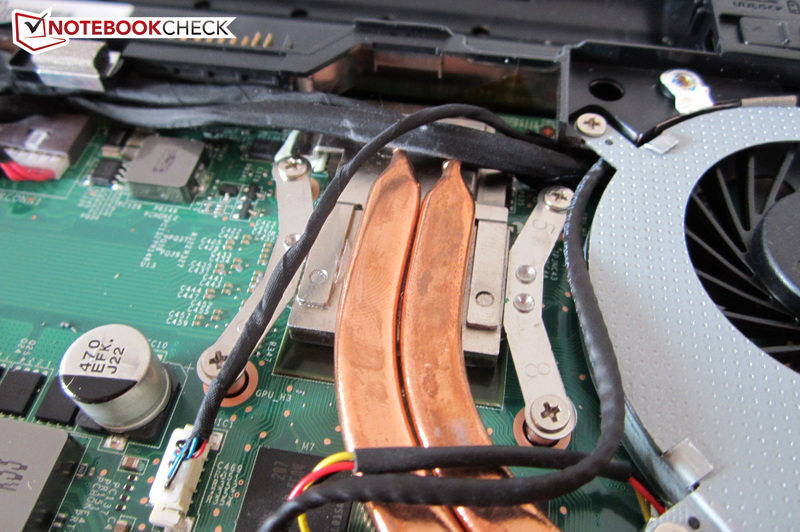 However, you should have experience when upgrading the CPU (the cooling system has to be completely removed). Deviltech earns high praise for the clean Windows installation. The reseller has avoided installing bloatware in the system. Not every user will appreciate the so-called S-Bar that boots alongside the operating system in default settings and is mandatory for a few extra functions. The accessories included in the box are sparse. You get a 540 g (~1.2 lb) 120W power supply, a 300 g (~0.7 lb) battery and a DVD for important tools and drivers. The standard warranty period is 24 months and an additional EUR 150 (~$190) is needed to increase the service period to 36 months. There is nothing that stands out on the MSI keyboard. 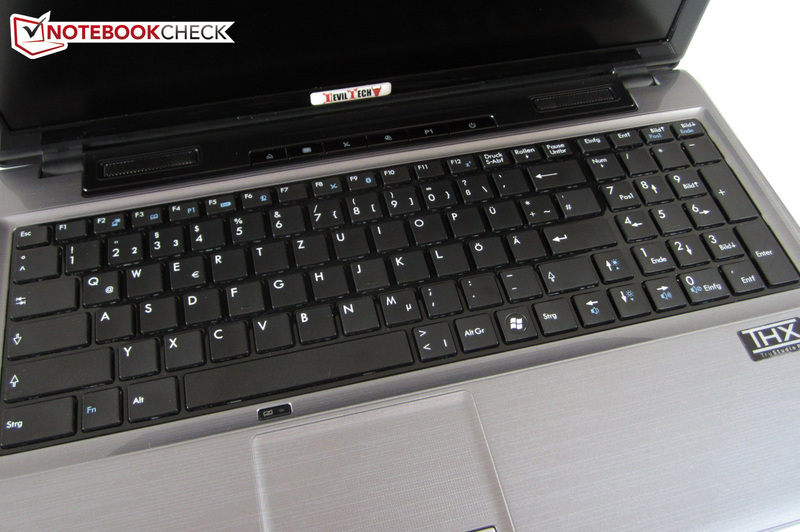 The chiclet keyboard deviates from standard layouts. As in the bigger MS-1762 gaming barebone (the One's M73-2N), the Windows key and the <>| keys have been moved to the right of the space bar. The reason for this is to provide an uninterrupted gameplay experience by avoiding the accidental Windows key hits. The single-row enter key is also unusual for the German keyboard layout. Consequently, the modification will annoy prolific typists. We found the FN functions more useful. 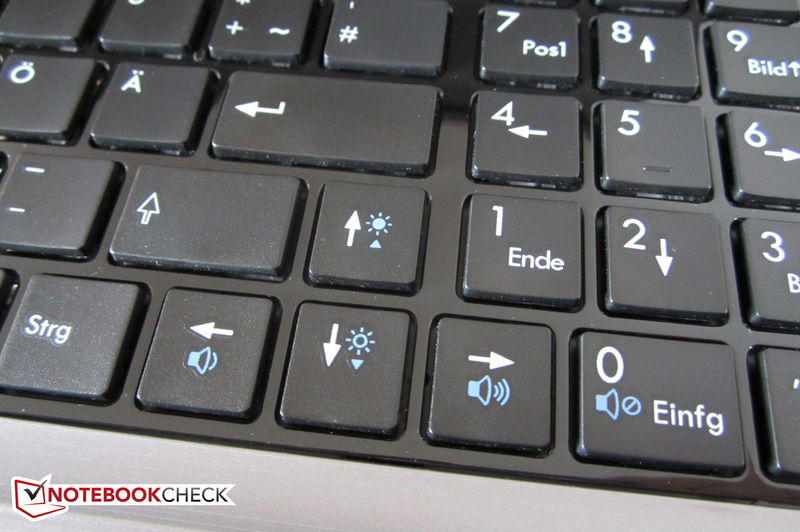 Volume and brightness control are quickly accessible because they are placed on the arrow keys. The angular keys are sufficiently sized with 14mm x 14mm dimensions. Although the keyboard is not one of the quietest models, the good typing feel, the key surface and the integrated number pad compensate for this flaw. 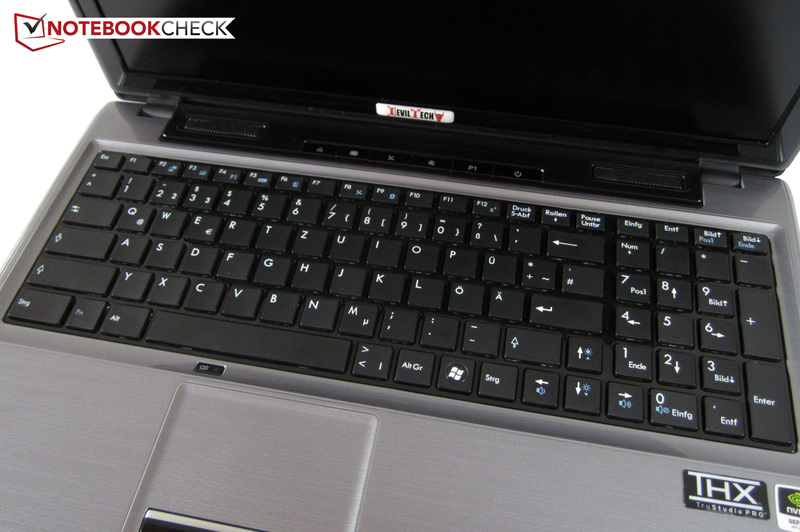 Five hot keys are located to the left of the power button. They enable turning the wifi module and screen on or off. The touchpad doesn’t create a good impression on us. The main problem is the rough, dotted surface that feels unpleasant after long-term use and has an unfavorable effect on the gliding traits. The recessed touchpad surface and good feedback cannot compensate for the overall user experience which was simply poor in our opinion. The touchpad proves to be fairly spongy in practical use. Drops in speed prevent accurate use. Gesture support was not available since the appropriate driver wasn’t installed. Another point of contention is the touch pad buttons that are unusually stiff to click. The large size (74mm x 43mm) spares the touchpad more embarrassment. 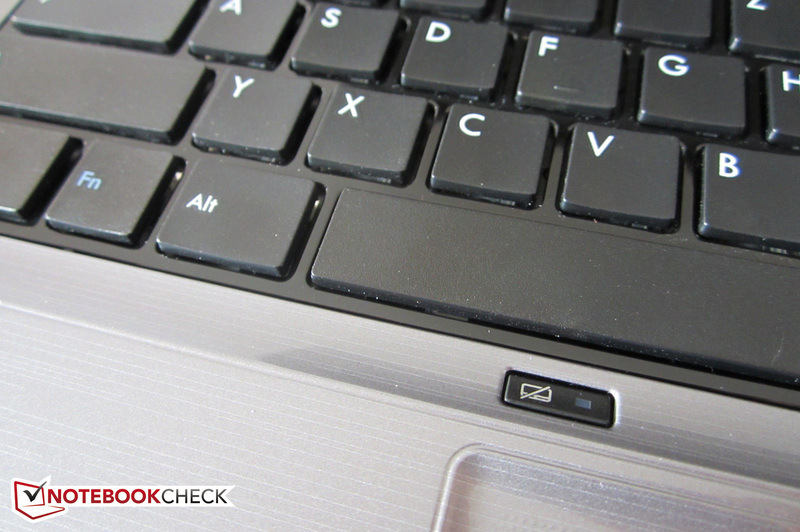 The touchpad can be disabled easily using a dedicated key at the upper edge. The 15.6 inch, non-glare screen is one of the laptop’s highlights. Some users may consider 1920 x 1080 pixels too much, but you get used to the high pixel density in a short time. Especially since the font size can be adjusted using the Windows' system control panel (Start / Control Panel / Display) if necessary. Unfortunately, modern games do not always run smoothly in Full HD resolution with maximum details. Considering the graphics performance, gameplay at 1600 x 900 resolution would be perfect. 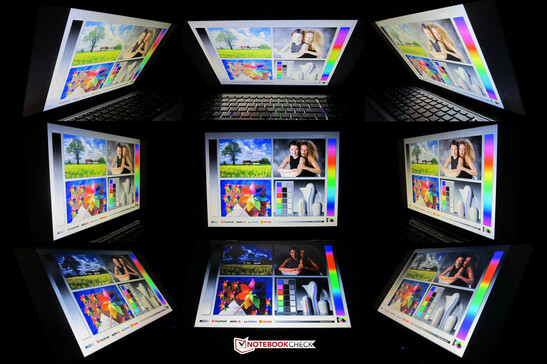 The manufacturer opts for an LED backlit screen from LG Philips. 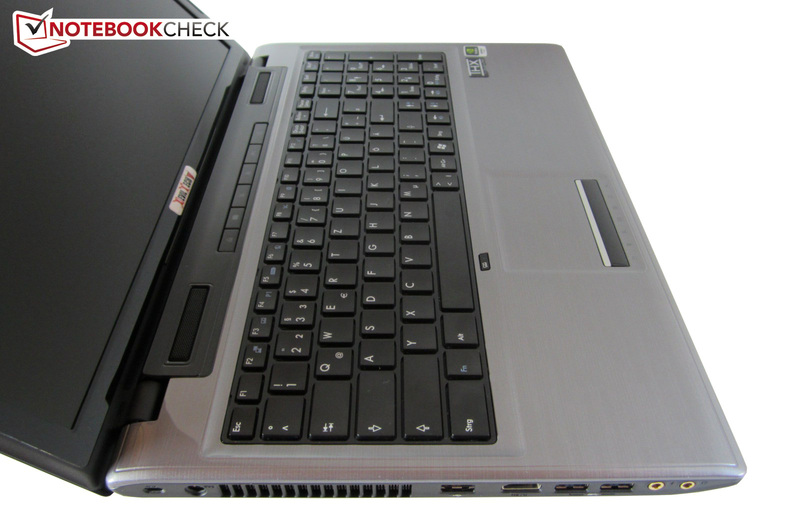 We know the LP156WF1-TLF3, featuring an aspect ratio of 16:9, from HP's EliteBook 8560w-LG660EA. The matte screen stood out with good, though not reference-worthy, readings at the time. 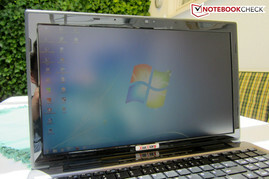 With a brightness of almost 270 cd/m2, it trumps over many rival notebooks whose screen brightness range between 180 - 260 cd/m2. The black value (0.5 cd/m2) leaves little room for complaint. Although dark elements have a slight grayish hue in weak ambient light, games and movies are displayed adequately. This is due to the Fire DTX's high contrast. Most buyers will be impressed the 600:1 contrast ratio. The same is true for the colors that look fairly crisp despite the AR coating. The screen's matte surface also allows outdoor use. It is possible to work fairly well on the laptop even in intense sunlight. 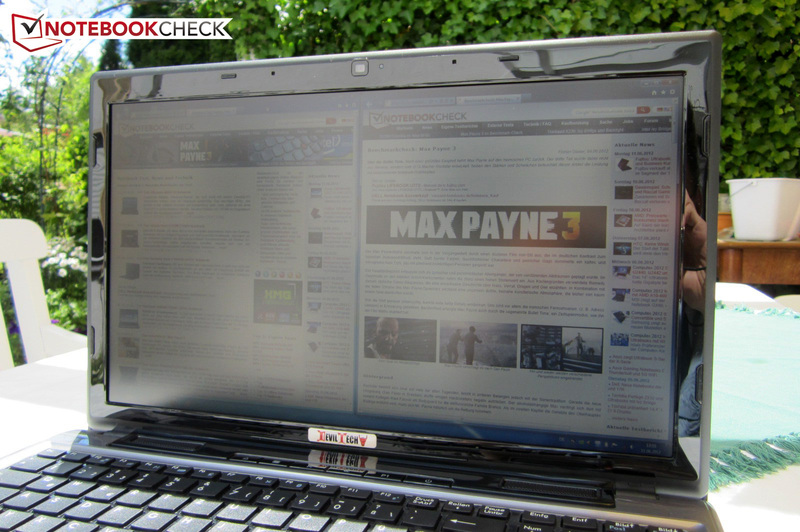 Glare screens tend to display a lot more reflections, as shown in the pictures of Alienware's M17x R4 (similar brightness). 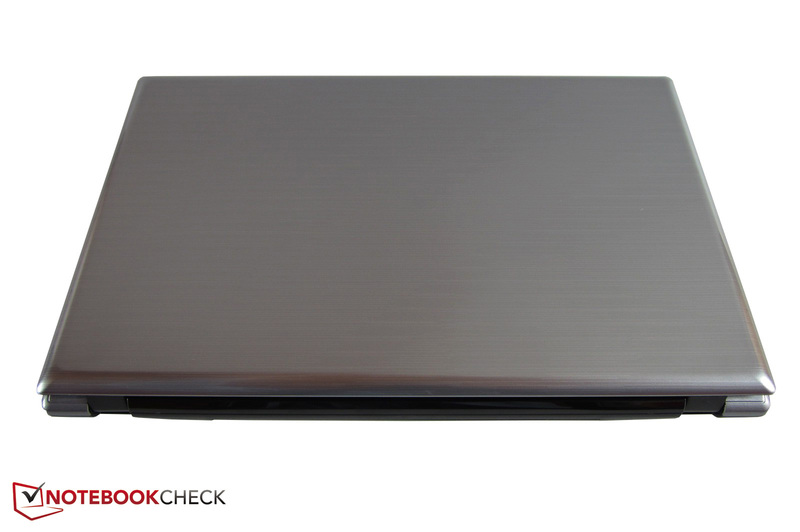 Not all notebooks come with high viewing angle stability. Like every TN screen, the LG Philips has problems on the vertical plane (especially from the lower side looking up), but image changes don’t occur horizontally, even at wider angles. As expected, an Intel dual-core or quad-core is optioned as the processor. Ivy Bridge replaces the successful Sandy Bridge line and is manufactured using the 22nm process. While the dual-cores can process four threads at the same time thanks to Hyper Threading, the quad-core manage eight threads simultaneously. The price for the enhanced multi-core power is higher power consumption (45W rather than 35W TDP). All Core i5 and Core i7 models are capable of automatically overclocking using the Turbo Boost feature. Compared with the prior generation, the integrated graphics card takes a biggest leap forward. The HD Graphics 4000 performs about 40% faster on average than the old HD Graphics 3000. Nvidia's well-known Optimus technology enables the Fire DTX to dynamically switch between the integrated and the dedicated graphics unit. 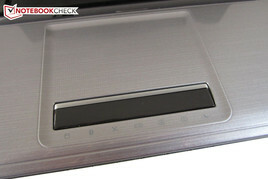 Consequently, the 15 incher saves a lot of power under normal usage conditions. 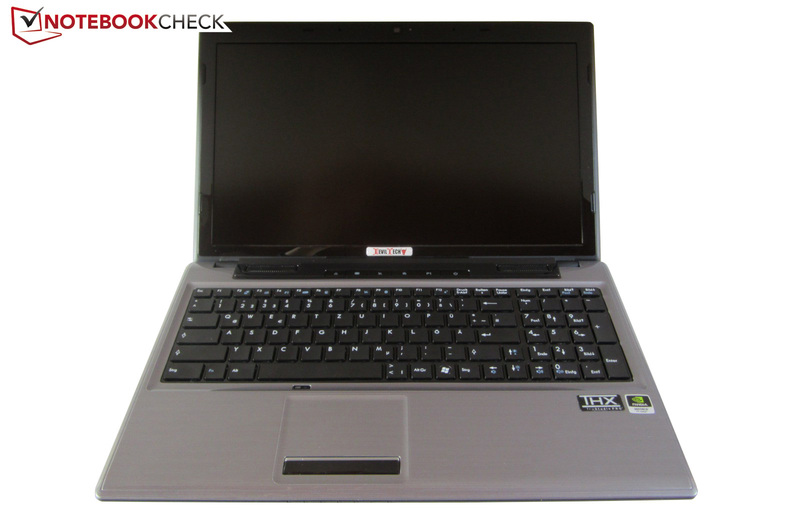 Our test device received the cheapest of the new quad-core models, the Core i7-3610QM. 1.4 billion Transistors and 6MB of L3 cache prove that cheap does not mean slow. The default clock of 2.3 GHz increased to about 3.2 GHz (single-core rendering) and 3.1 GHz (multi-core rendering) in Cinebench R10. The quad-core manages a maximum of 3.3 GHz. 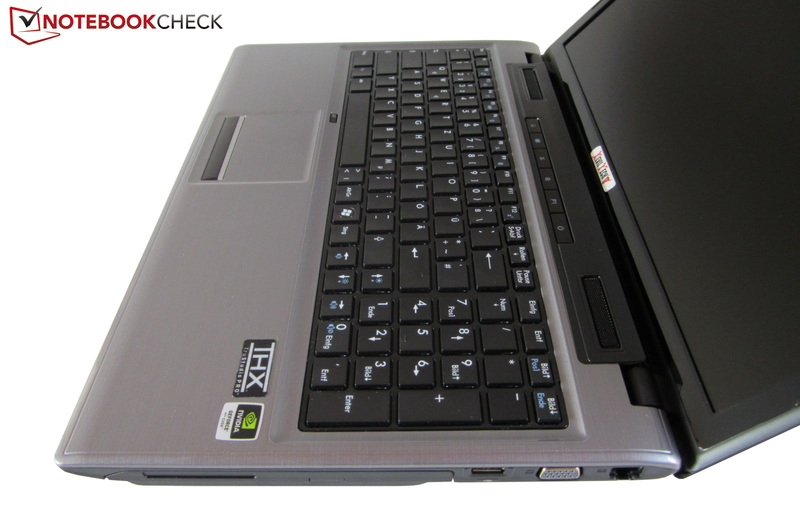 The Core i7-3610QM is superior to its dual-core sisters in multi-core optimized applications. 6.27 points in Cinebench R11.5 is about twice the score of the Core i5 3320M clocked at 2.6/3.3 GHz (3.1 points in the One M73-2N). Apart from special CPU benchmarks, the average user will hardly notice any differences in performance under normal workloads. Nvidia's new GPU architecture, Kepler (GK107 chip) has succeeded in a large number of design wins in the notebook sector. This card falls between the GeForce GT 640M and the high-end GeForce GTX 660M version. The GTX 680M will soon be the direct competitor to the current leader, the Radeon HD 7970M. The Fire DTX's moderate price and the relatively slim build naturally don’t allow the addition of high performance GPUs like the GTX680M. Despite the fairly narrow memory bus (128 bit), the GeForce GT 650M is a good choice for slightly more demanding casual gamers. 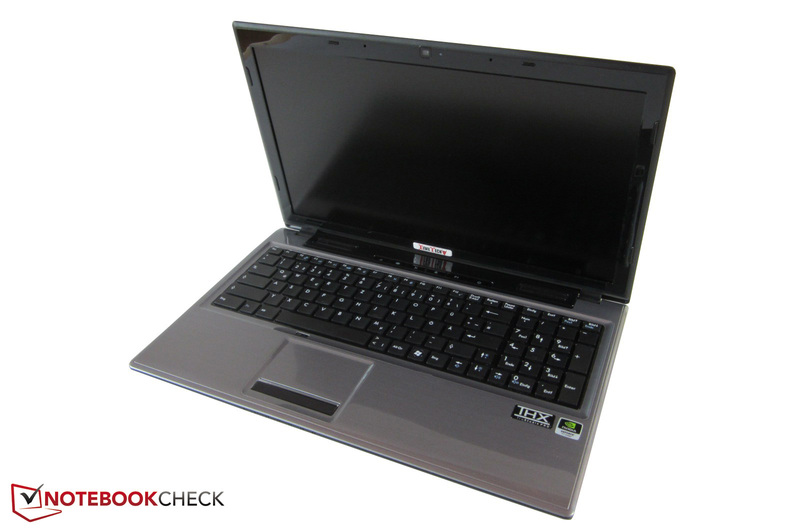 With a base clock of 745 MHz, DirectX 11.1 support, and 384 CUDA cores, the performance comes closer to the GTX660M. Like Intel's Core-i range, Kepler also features automatic overclocking. The GPU booster works perfectly in the Deviltech notebook. The GT 650M always clocked to the maximum 835 MHz during full load (according to GPU-Z). The 2048 MB GDDR5 video memory stays constant at 1000 MHz. The process shrink from 40nm to 28nm has led to higher energy-efficiency. 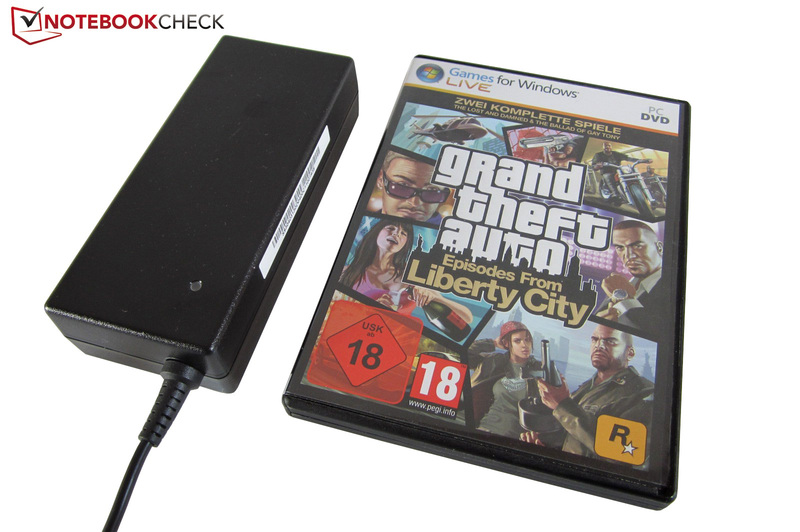 Although the GT 650M easily outperforms the old GT 555M, the power consumption is on a par. The PhysX technology (GPU based physics acceleration) and the integrated audio controller (surround sound through HDMI) will likely be familiar to everyone. While the Unigine Heaven benchmark (1280 x 1024) cannot be rendered absolutely smooth by a GT 640M (23.8 fps in the Acer Aspire M3-581TG), the GT 650M achieves 29.0 fps. The DirectX 11 benchmark runs a bit smoother on a GTX 660M (32.4 fps @ Asus G55VW-S1073V). The differences are similar in 3DMark 11 (1280 x 720). The Kepler model's GPU score of 2052 points is 19% higher than the GT 640M's score (1731 points), but 11% lower than the GTX 660M's (2298 points). 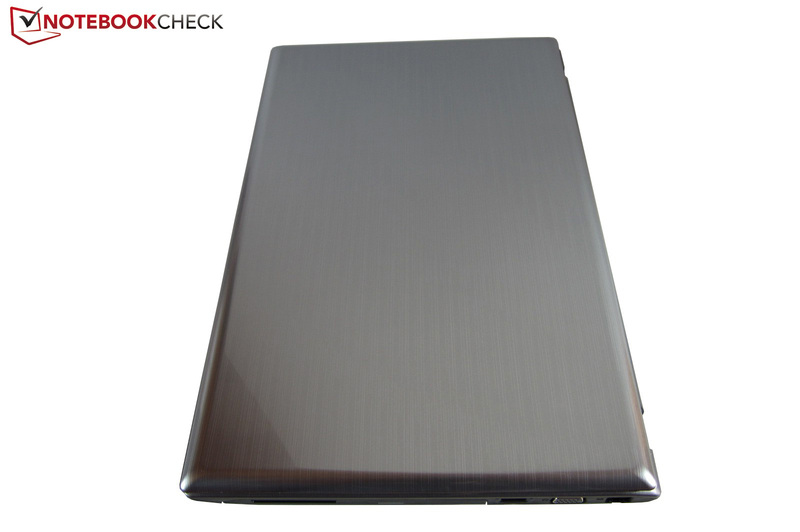 If you have enough financial resources, you should definitely configure the laptop with a modern solid state drive. In contrast to a conventional HDD, SSDs score with faster boot, load and transfer times. Responses to commands in the OS are quick with no delays and the user experience is vastly better compared to laptops with mechanical HDDs. 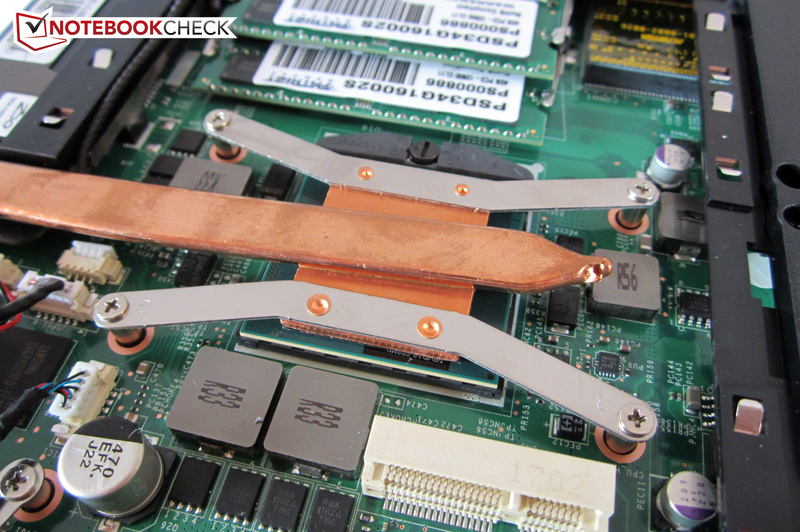 Deviltech fit our test device with a 120 GB SATA III model. The 9.3mm slim and 77g OCZ Agility 3 (MLC flash) is touted to have a transfer rate of around 500 MB/s on the manufacturer's homepage. The OCZ Agility 3 comes with the Sandforce SF-2281 controller that has been documented to have several issues concerning its operation. The systems with the SF controller are plagued with the infamous BYOD, random restarts and performance glitches. Subsequent firmware updates have minimized the occurrence of these problems. But until all issues are solved, this controller is going to face a lot of flak. In fact, the Agility 3 managed just 196 MB/s (sequential read) and 114 MB/s (sequential write) in the AS SSD benchmark. Other SATA III SSDs manage 2.5 times these speeds. The access speed was around 0.3 - 0.4 milliseconds. The SSD at least performed decently with small files. 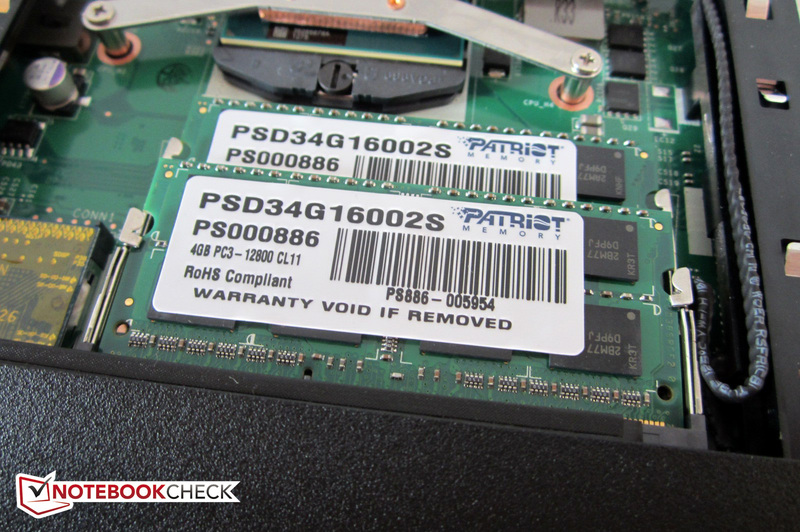 Overall, we would recommend Deviltech switching to another brand of SSD. 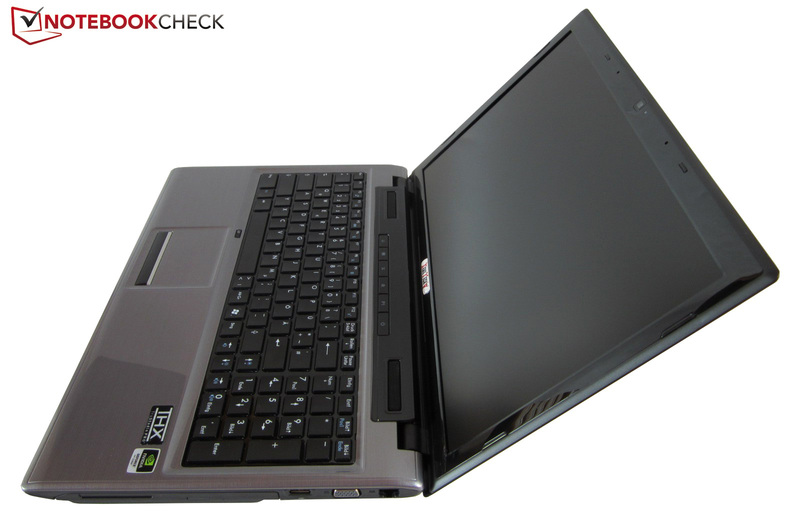 The Samsung830 currently holds the title for its great performance, fair price and high reliability (Schenker XMG P702). Despite the poor performing SSD, there is no reason for complaint in terms of system performance. 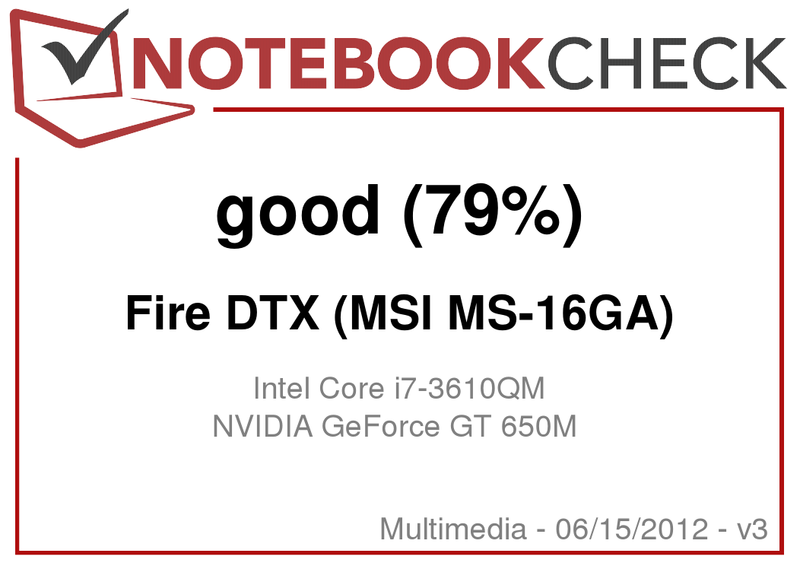 The Fire DTX's score of 18697 points competes with stronger high-end laptops, such as Alienware's M17x R4 (18816 points). The same applies to PCMark 7. 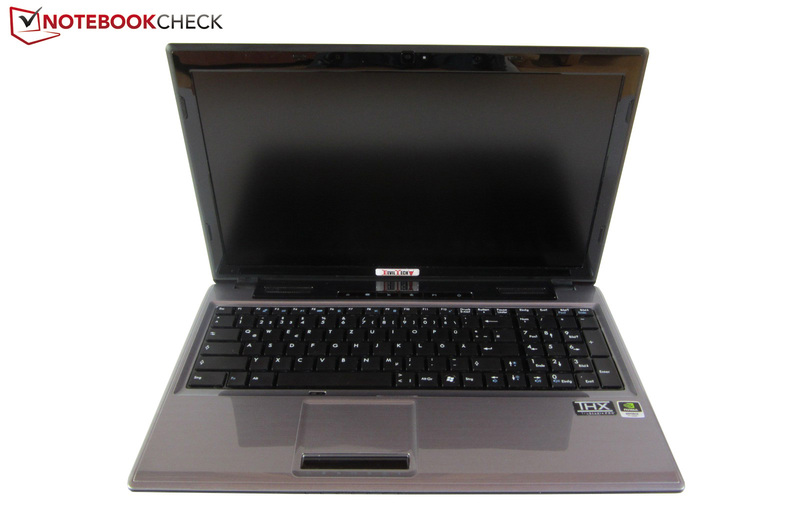 A score of 4193 points clearly outperforms an ordinary multimedia notebook. We have already tested the GeForce GT 650M's gaming performance in Alienware's M14x R2, One's M73-2O and Schenker's XMG A502. The power is basically enough for high details and 2x or 4x anti-aliasing, but not always for the native 1920 x 1080 resolution. Thanks to the good interpolating capability, the picture still looks fairly focused in 1600 x 900 pixels. While the more expensive GeForce GTX 660M takes a lead of nearly 18%, the GT 640M lags behind by about 25% (in ultra-settings). Casual gamers should be satisfied with the Kepler model in any case. Ardent gamers will have to turn to the upper range. The system noise is satisfactory when idling and in undemanding tasks. The case fan spins quietly when the notebook is running simple tasks or is idle and Intel's GPU is running, which is not at all disturbing (~31 dB at a distance of 15 cm). The 15 incher should only be slightly louder with a conventional HDD. The soft whirring of the DVD drive can be ignored easily, making movie watching a better experience overall. The Fire DTX is loud at higher load with the dGPU enabled. The noise settled to approximately 42 dB when running 3DMark 06. Most gaming notebooks are as loud during load. It should not be a problem if you turn up the volume, prefer noise-intensive games like first person shooters, or use headphones. The recorded 48 dB on the chart refers to full load conditions. The temperature readings are a mixed bag. We will start with idling where the chassis stays pleasantly cool. Our thermometer recorded about 28°C after two hours of idling which is good. But, you do have uncomfortable levels of heat being generated at full load. After an hour of operation at load, the readings averaged 43°C (top) and 39°C (bottom). 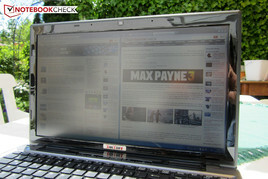 Particularly in the WASD area, which is important for gamers, temperatures reached a maximum of 50°C. It also gets hot inside the laptop. The Core i7 temporarily throttles to 1.2 GHz when Furmark and Prime run simultaneously. The CPU clock fluctuated between 1.5 and 2.0 GHz when we controlled the temperature after half an hour (CPU: ~97ºC, GPU: ~90°C). It was only 1.5 - 1.6 GHz 30 minutes later. However there is no need for fear since this problem should not turn up under normal conditions. All benchmarks were completed faultlessly. (-) The average temperature for the upper side under maximal load is 43.2 °C / 110 F, compared to the average of 30.9 °C / 88 F for the devices in the class Multimedia. (-) The maximum temperature on the upper side is 49.9 °C / 122 F, compared to the average of 36.5 °C / 98 F, ranging from 21.1 to 71 °C for the class Multimedia. (+) In idle usage, the average temperature for the upper side is 27.9 °C / 82 F, compared to the device average of 30.9 °C / 88 F.
(-) The palmrests and touchpad can get very hot to the touch with a maximum of 43.8 °C / 110.8 F.
(-) The average temperature of the palmrest area of similar devices was 29.1 °C / 84.4 F (-14.7 °C / -26.4 F). The sound system still looks impressive on paper- two speakers above the keyboard and two speakers in the front area, all certified for THX TruStudio Pro. It would be great if the front speakers did not prove to be superfluous and if they would not generate annoying noises at specific pitches (particularly the one on the left). Although modifying the balance helped in this case, the sound was not as good as we expected. The sound system lacks precision, balance and a strong bass among other things. However, most contenders do not do a better job. 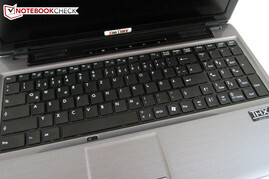 The sound system is just about what is expected for a multimedia notebook. The maximum volume is above average. There is no need for reproaching the Fire DTX's power requirement. Thanks to the Optimus technology, the 15 incher is satisfied with approximately 10 – 20W in idle conditions. 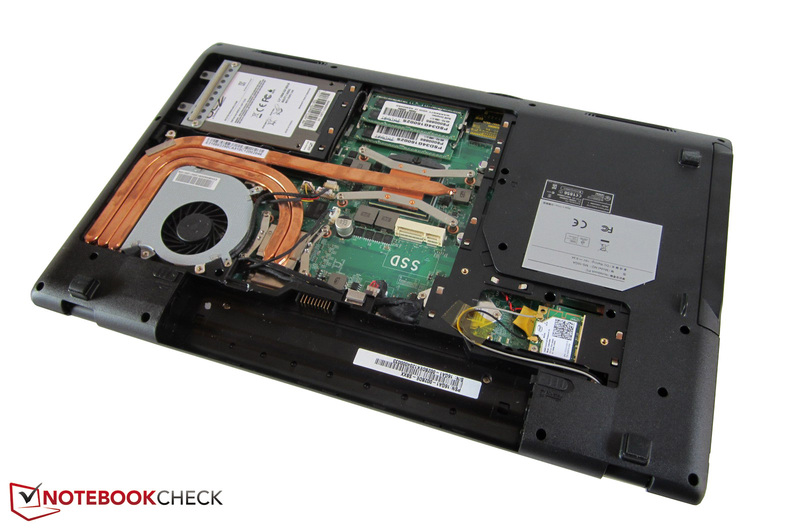 Multimedia or gaming notebooks that work without graphics switching often need over 30W. The GPU’s consumption at load of about 76W is also reasonable (69 – 88W in 3DMark 06). The consumption varies between 93W (CPU @ 1.2 GHz), 102W (1.5 - 2.0 GHz) and 132W (no throttling) during full load. 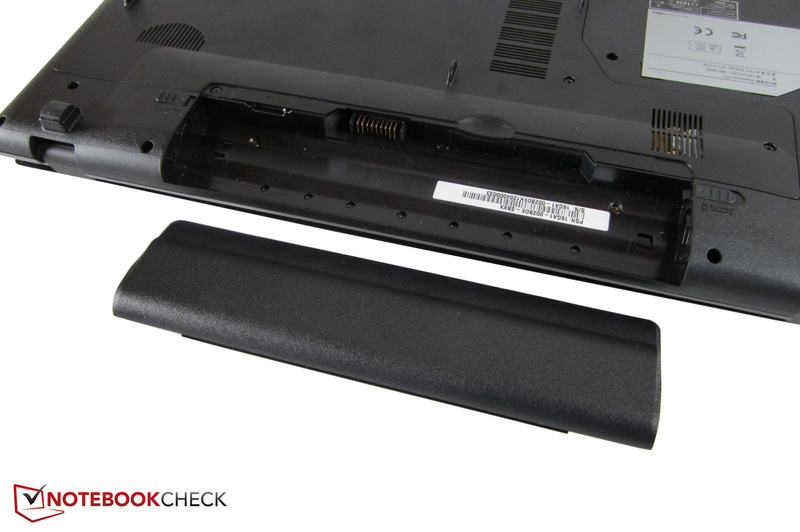 The laptop could have been a portable solution for most people if not for the battery. A 49Wh battery is rather small and limits the Fire DTX's time away from the mains. But we cannot call the battery life bad. Not every notebook manages over four hours in idle (minimum brightness). Almost three hours can be squeezed out of the battery when the brightness is set to about 2/3rd and we surf the Internet using wifi. A DVD can be played for nearly 2.5 hours at maximum brightness. The battery life drops considerably as soon as the discrete GPU is enabled. BatteryEater's Classic test determined a runtime of just around an hour. We quote "Two souls alas! are dwelling in my breast" by Faust in the eponymous tragedy, that the testing of Deviltech's Fire DTX was. The 15 inch laptop, dwelling somewhere between a multimedia system and a gaming notebook, has its strengths and weaknesses. In particular, the great non-glare screen has to be highlighted positively. The high contrast, the good viewing angles and the screen's matte surface ensure unmarred media entertainment. However, this is only true when the user connects headphones or external speakers. The built-in sound system is just suitable when on the move. On the other hand, the manufacturer has done an almost perfect job inside. First, the innards are easy to maintain. 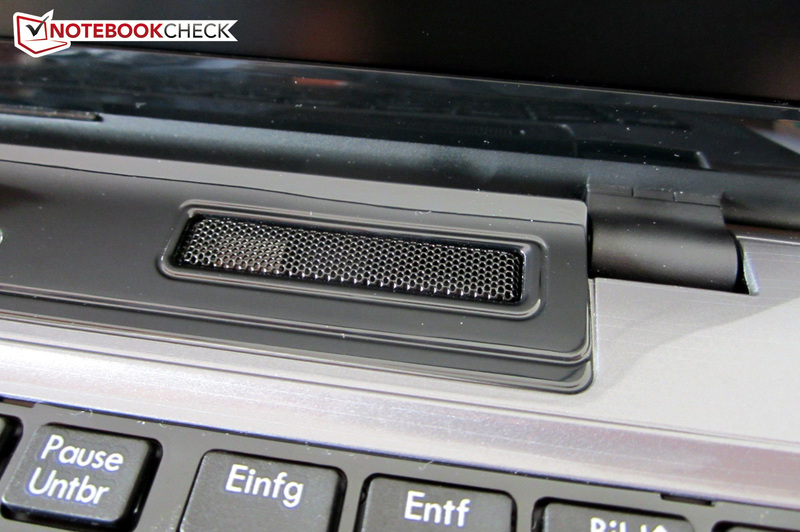 Only few devices offer such simple cleaning and upgrade possibilities. Second, the components are perfectly aligned. The array of an Ivy Bridge CPU, Kepler GPU and solid state drive equips the user for almost any situation. However, it is too bad that the graphics card and processor get relatively hot. Talking about hot, the silver-gray chassis is not exactly cool. As common for gaming notebooks, you have to live with a loud and hot system when running GPU and CPU intensive applications. The case disappointed us the most. The MS-16GA barebone features an extremely cheap plastic case which shows poor workmanship and sensitive high-gloss paint. You could expect more for a price of over EUR 700 (~$880). The spongy response of the very rough touchpad is another drawback. The port selection (2 x USB 3.0) and battery life (2 - 3 hours in routine use) are rather unspectacular. 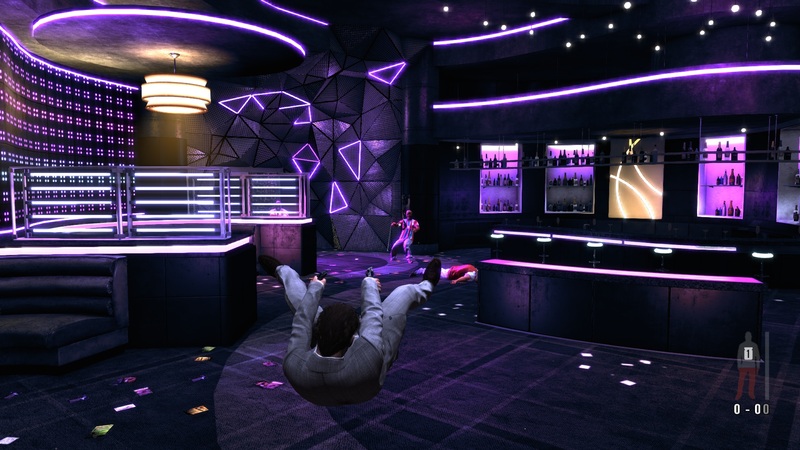 In summary, price-conscious casual gamers can risk taking a look. There are hardly any faster laptops for under EUR 1000 (~$1250) to be found. By the way, MSI sells an OEM version called the GE60. 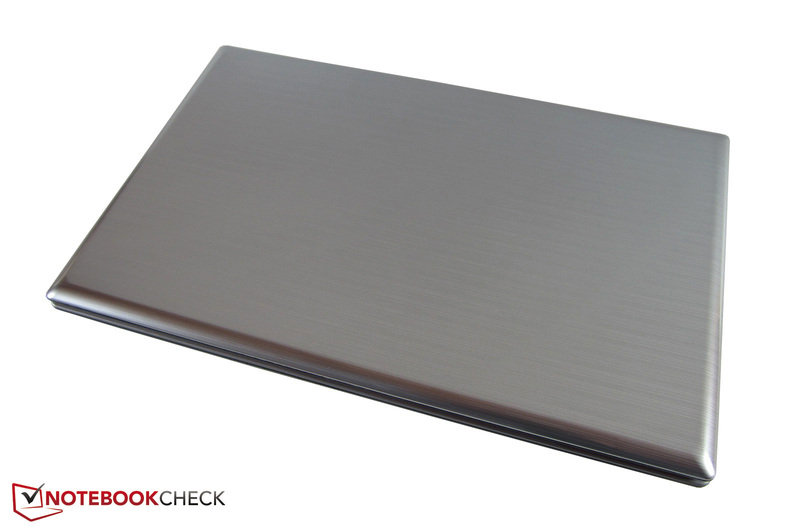 Silver-gray notebooks are sooner the exception than the rule in the meantime. The manufacturer installs a total of four speakers. The front has a multi-in-1 card reader. The underlying barebone comes from MSI. 49 Wh are rather poor. 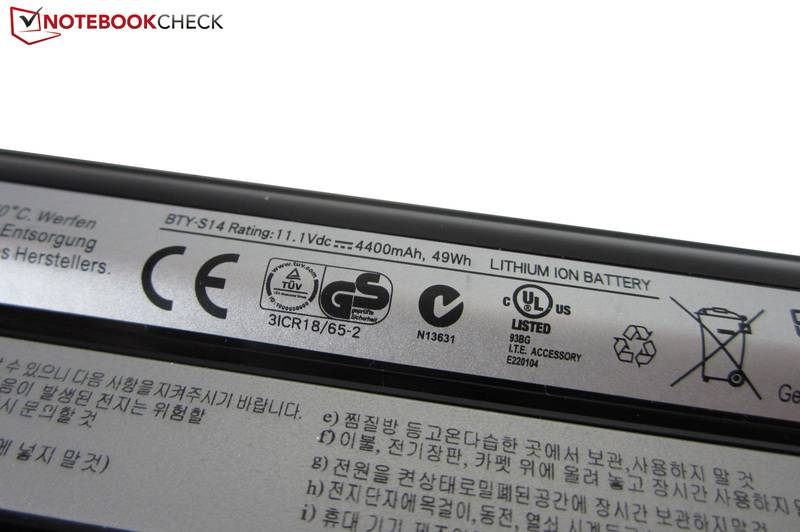 The sharp-edged battery is in the rear. Two RAM banks for a maximum of 16 GB. Nvidia's graphics card hides behind various cables. Either a dual or a quad-core serves as the CPU. A webcam belongs to the must-have list. The keyboard's layout clearly deviates from the standard. Internet access is possible via wifi or RJ45 Gigabit LAN. 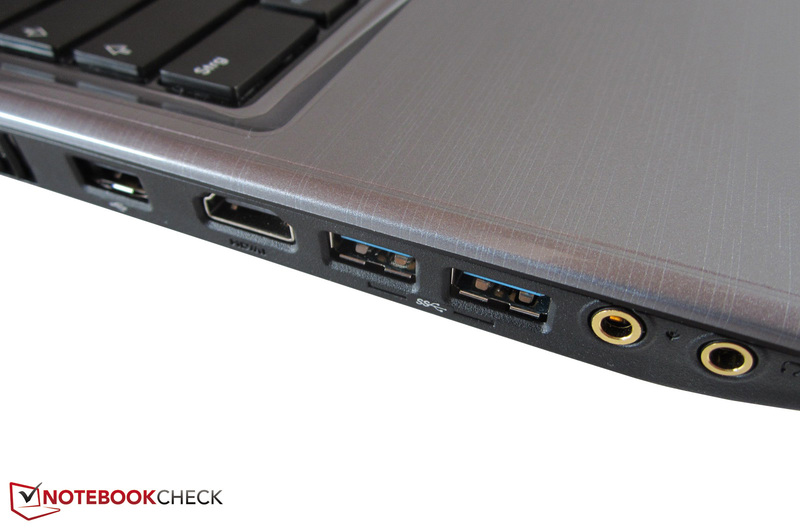 The left harbors two USB 3.0 ports. eSATA and FireWire are not installed. The dotted texture affects the gliding capability negatively. The touchpad can be disabled easily. Clever placing of volume and brightness control. We deem the speakers' sound acceptable. A few special functions can be accessed directly. 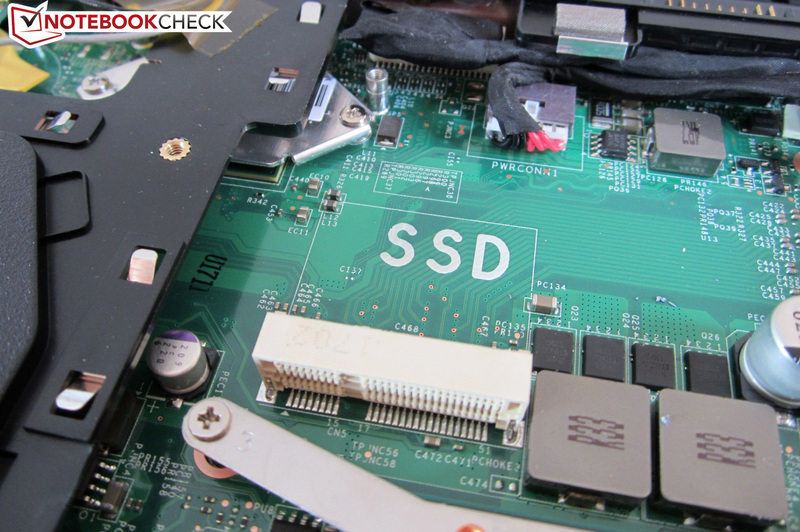 An mSATA SSD can be installed optionally. The standard wifi module comes from Intel. In contrast to the display frame, the screen is matte. The multimedia notebook does not look flashy or boring. The Fire DTX does not have a wide opening angle. The high-gloss plastic is naturally quite sensitive. 2.6 kilograms are comfortable to carry. A cover fastened with screws is on the bottom, as usual. The lid features a fine line pattern. The black elements create a nice contrast. The dimensions are typical for a 15 incher. The customer has free access for removing and upgrading. 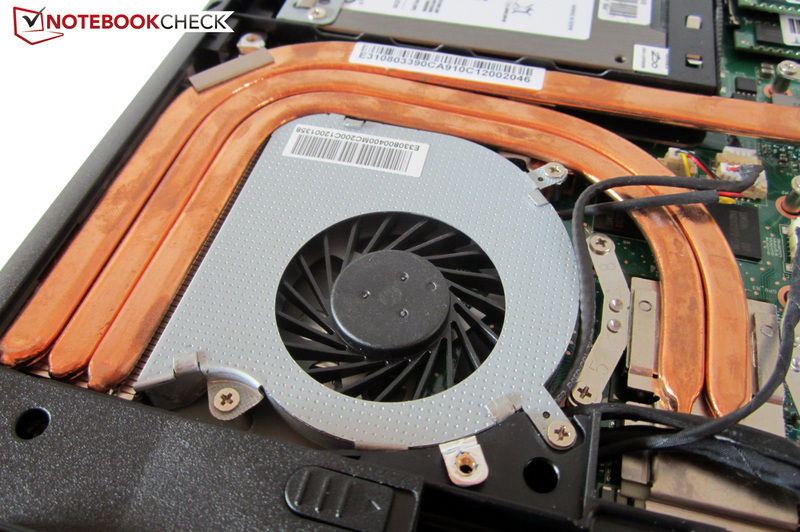 Three heat pipes and fan are responsible for cooling. In 2012, it should be a solid state drive - like in this case. Equally good maintenance possibilities are rare. The case's stability is in the midfield. The optical drive dominates the right. Left-handed users will get the full blast of air when using the mouse. In our opinion, the workmanship quality is below average. The device's looks does not hint at the strong hardware. The notebook is delivered with a 120 watt power supply. Substandard glare-panels are a thing of the past. 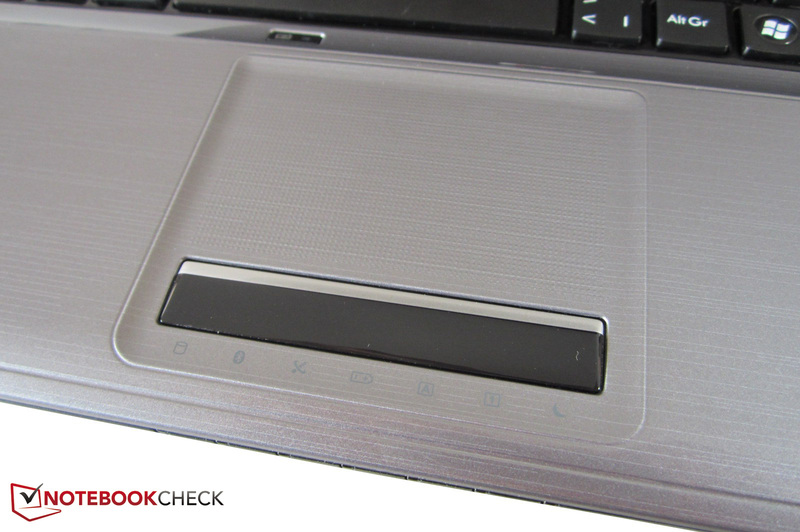 A smooth touchpad surface and better workmanship. The Fire DTX offers a great price-performance ratio. 15 inch all-rounders featuring a strong graphics card. 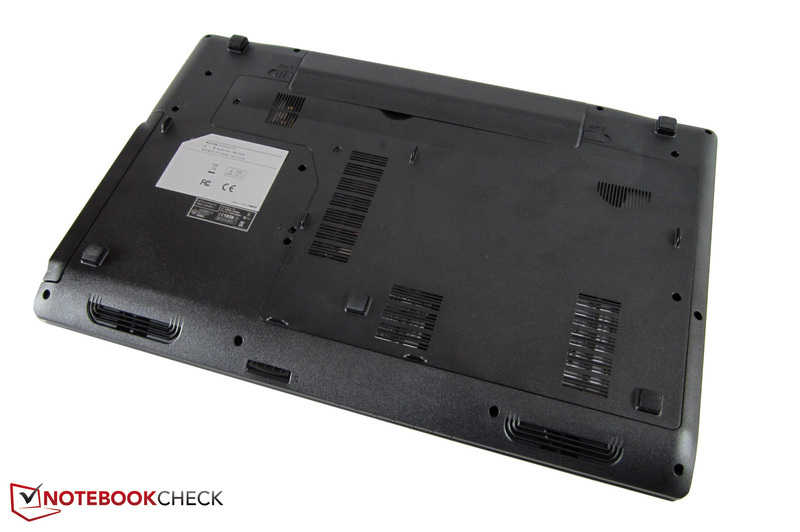 The most serious contender is likely Clevo's W150ER barebone (Schenker XMG A502).